It's been a bit of a whirlwind around here with cutting and sanding. Winter will be here before we know it and it will be too cold for those activities! Poplar is and inexpensive hardwood. The tell-tale green tint gives it away. It is usually painted because poplar is notorious for being 'blotchy' when stained. On to Plan B! After all, it was solid wood and and the drawers were dovetailed. 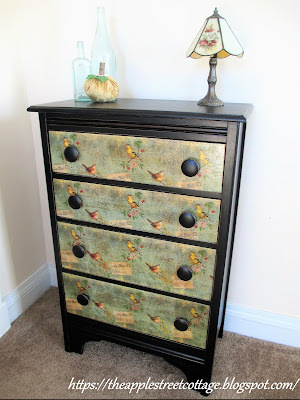 The chest itself was painted with 2 coats of Ink Chalk Paint (available at your local discount store that begins with a 'W'), distressed, and then given 2 coats of satin polycrylic. It was then time to finish the drawers. I wanted to do something different, so I painted the edges black and decoupaged the fronts with paper napkins. I'm putting together a little tutorial on that process since I learned a few tricks while doing it. 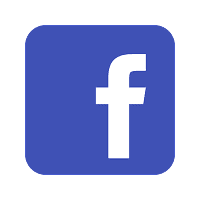 Be sure to stop back for that post! You can read that tutorial here. The knobs were also painted, distressed, and given 2 coats of polycrylic. 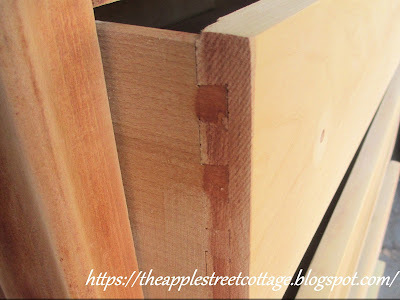 Since the chest was scuffed, the distressing showed some bare wood and some of the previous finish. In spite of the fact that this was Plan B, I learned a new technique and love the result. Even my husband is impressed - he already shared it on facebook! How many times have you had the perfect plan in your mind and had to scrap it for another one? Isn't it wonderful when it turns out to be your favorite? 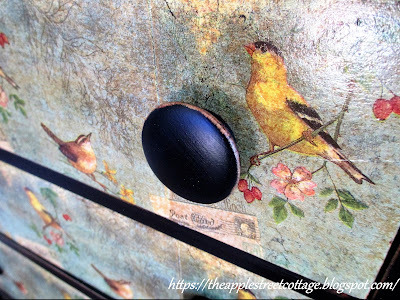 (you don't want to miss the decoupage tutorial). Mother Nature is starting to paint a beautiful picture in our part of the country. Have a wonderful week! Gorgeous! I can't wait to find out how you decoupage info! Thank you. I'm working on that post now! BTW, thanks for the tidbits about Poplar! I rarely see it around here, but still good to know! HaHa! I know what you mean...so many great finds, so little space! I'll understand if you don't share this post with your Mother, but come back for my other projects, OK? Happy to share information about poplar, it can be tricky! I'm so glad you stopped by - come back again soon. This is gorgeous, what a fab makeover, seems sometimes plan B is the best! Thank you, Julie. Plan B certainly was a winner this time! Thank you Debby - glad you stopped by! Lovely! 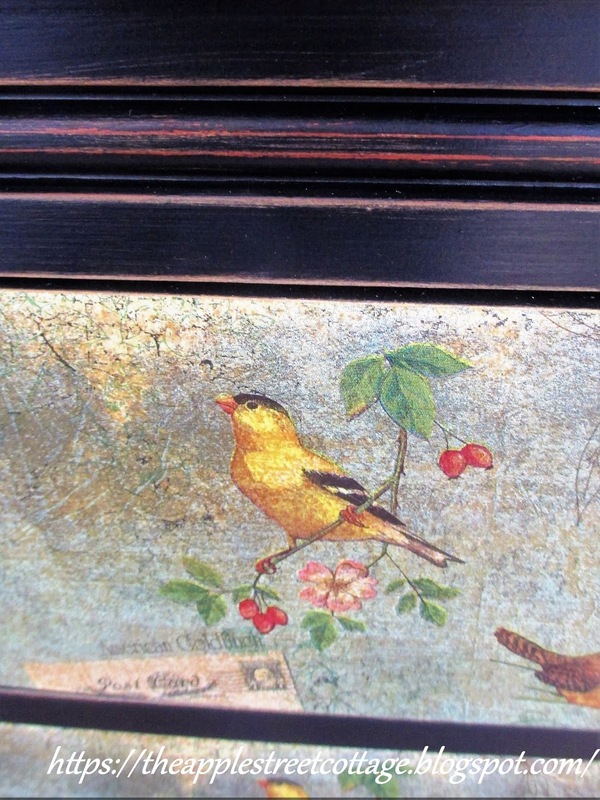 I really like decoupage. Happy Monday! Thank you so much. Have a great week! I love it! I'll have to watch your how to video. Your discourage looks perfect. Thank you, Barbara. No video, but I took lots of pics while I was working on it! This turned out beautifully. Thanks for sharing on Sunday's Best. Thank you, Rhonda. I'm happy to share! Ypur bureau came out beautifully. You did a fantastic job with the decoupage, especially matching the patterns! Thank you, Kathy. It's really an easy process - come back this weekend for the tutorial! 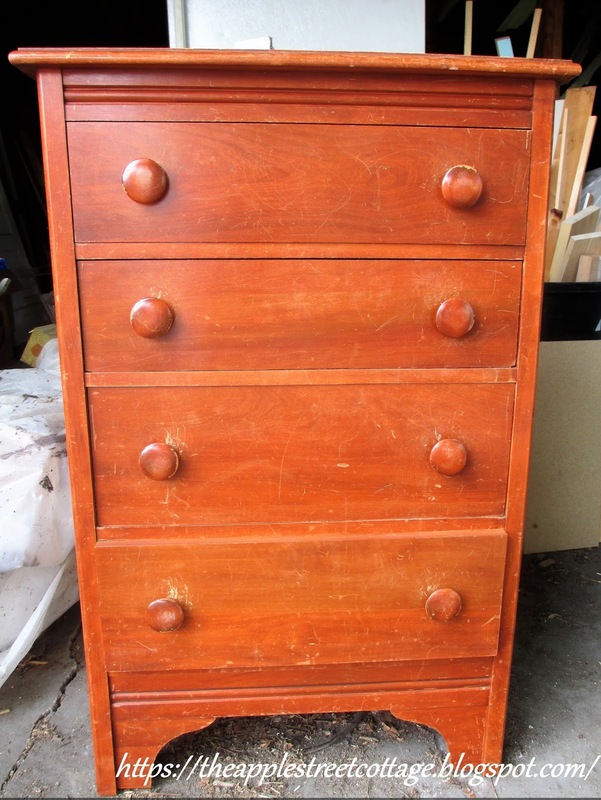 This is just beautiful - I see so many restoration blog posts and often think it looked better before it was "restored". In your case, this is just gorgeous and I'd have it in my home tomorrow! Thank you so much, Leanne. This was a new venture for me and I'm pretty pleased with it - I hope you'll visit again soon to see my other projects! WOW...I LOVE this dresser. I can't believe those are napkins! I can't wait for your tutorial on how you did that. That looks gorgeous. I love that green with black. Bravo..beautiful! I'm so glad you like it, Kathleen, stay-tuned the tutorial should be posted this weekend! I hope you're following so you don't miss a thing. Just followed and can't wait:) Have a great weekend to you too! I agree, Shirley. Decoupage and napkins are a great combination! I see more of these projects in my future. I think this chest is beautiful! I love the decoupaged napkins on the front, I can't wait to read your post about it. Thank you so much for linking up to Party in Your PJs! I pinned it! Thank you so much. The process is pretty easy! 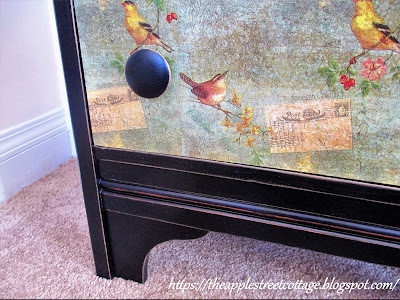 Ann this is the best decoupaged napkin project I've seen! Those birds are so sweet! 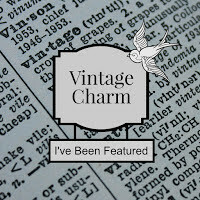 Thanks for sharing @Vintage Charm--pinned! Thank you so much...happy to share! That is adorable! Love the napkin design you used. 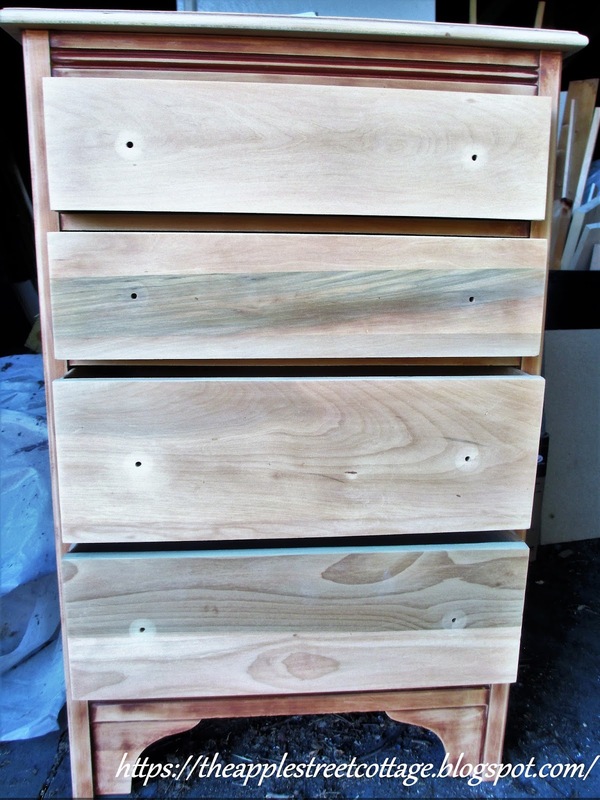 Hard to believe the chest is only 40"T. Glad you shared that fact about poplar...I didn't know it had a greenish tint when stained. Pinned. Yes, it is a small one, that's what attracted me to it! Poplar is tricky wood to work with...that green grain is a challenge. Thank you for stopping by the Cottage. Come back again soon! Such a sweet dresser. Really lovely transformation. Looking forward to your tutorial! I'm so glad you like it...the tutorial went up the other day. Be sure to check it out! Thank you. I'm so glad you stopped by! Good Morning Ann, I am thrilled to have discovered you. 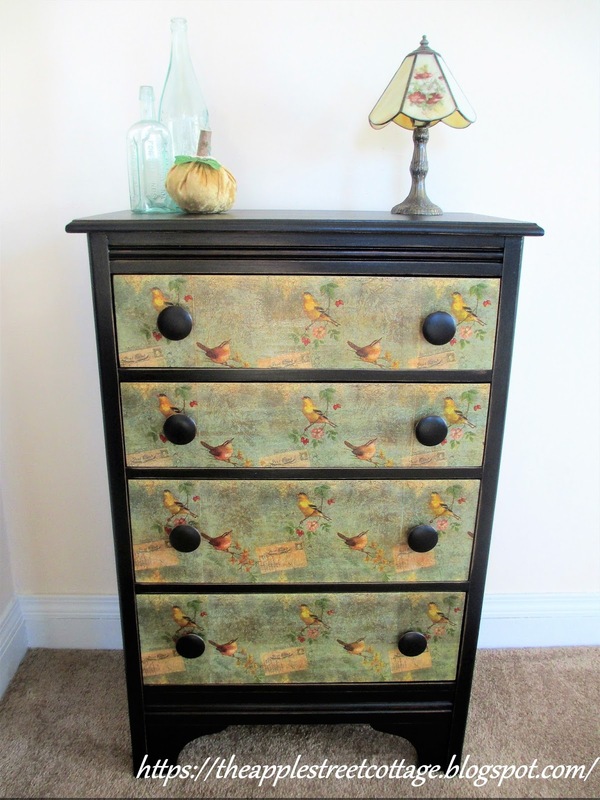 I have an Indian painted chest which I love, but I have never managed to find another one. 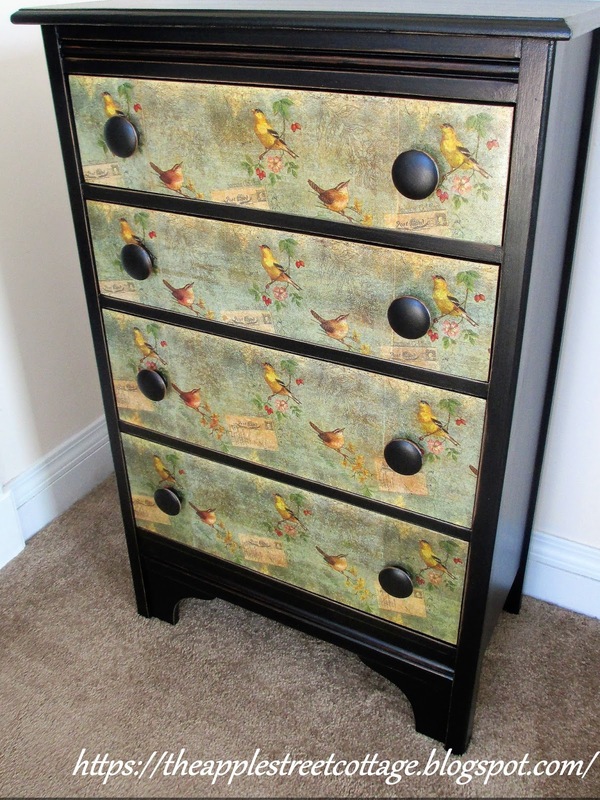 Your wonderful idea of decoupaging a chest of drawers has given me so much inspiration. I can totally understand why your husband Facebooked this piece.... it is fabulous. Looking at the peacocks, it reminds me of our holidays spent in India. Thank you, Daphne. I've become a real fan of decoupage. It can truly transform a piece! Another beautiful makeover!! Truly amazing work!! Love it!! How To Decoupage Dresser Drawers - With Napkins! Welcome back! Last week you saw a garage sale dresser transformed with paint and decoupaged napkins. If you missed it, click here. Today I have a little tutorial showing how it was done. Let's get started, shall we? The drawers were sanded down to bare wood and the edges were painted black to match the rest of the dresser. The napkins were found at the Dollar Store. All-Natural Weed Killer - That Works! Summer is finally here! The flowers are blooming, the grass is growing, and so are the weeds! Here's the back story on this piece... The storage unit we rented was in an old factory and they were cleaning-out. 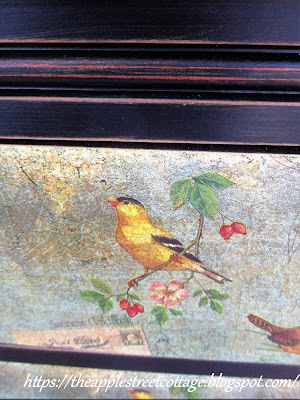 When we arrived with the movers (same company) I spotted the china cabinet that had been left out in the rain for a loooong time. It was warped, split, peeling, and had no glass. Since I'm an idiot...ahem, love a challenge, I offered to buy it. The owner told me to take it - no charge. He also gave me the maple table for free. If you missed that makeover, click HERE. Since I had no room for the china cabinet, it sat there until we moved into the new Cottage. Pallet Pumpkins - Fall is Here!